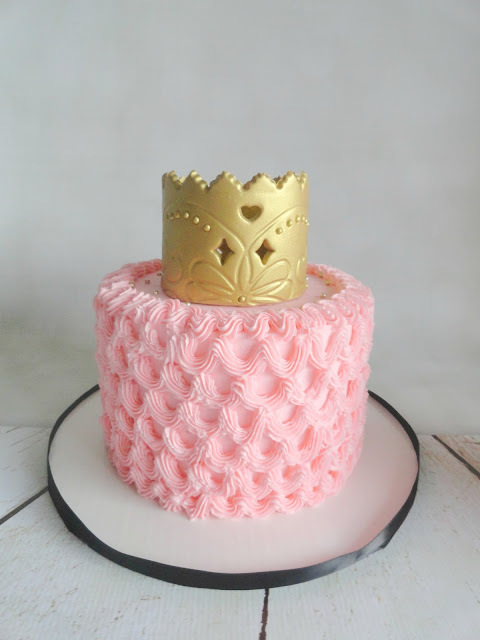 2 Princess theme birthday cakes for a special little girl turning 1. 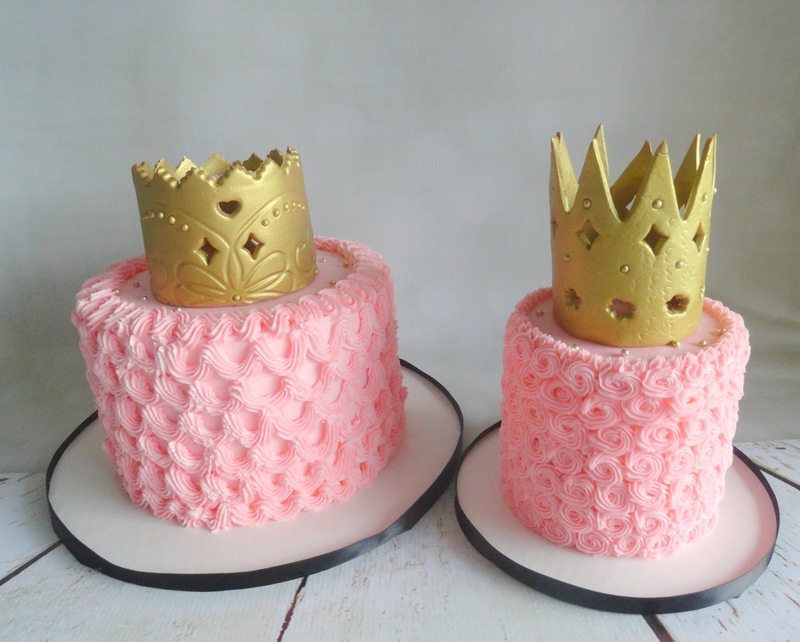 The smash cake has a fun and popular rosette buttercream design, the other cake is a little bigger with another buttercream design to complement the smash cake. 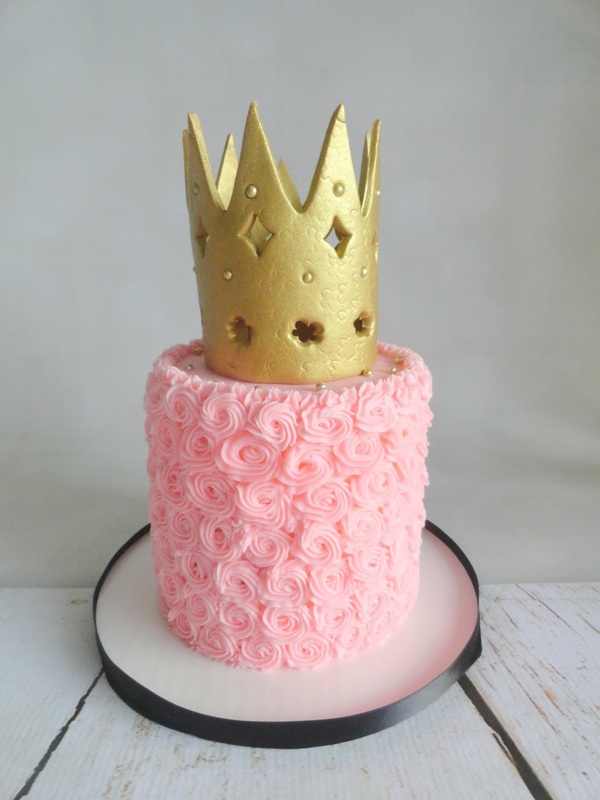 The gold crowns are handcrafted in sugar paste and then airbrush with food safe gold paint.